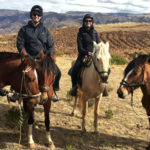 The Sacred valley of the Inkas is the perfect spot to realize some special activities like Biking tour, ATVs Tours, Zip Line, Horse Back riding and hiking; not all together but you can choose one of them to join in this package, so, on the first day you’ll go in one of these activities and the second day you’ll have a whole day in Machupicchu where you’ll have the option to see the sun rise and after the 2 hour guiding tour you’ll have time to climb the Waynapicchu Mountain or to walk around the last part of the Inca Trail “IntiPunku” the SUN GATE or to go to Inca bridge, the andean world is waiting for you. 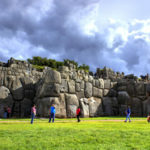 This tour start and finish in Cusco, that means, passenger have to arrive in Cusco at most one day before of the tour departure. LOCATION: CUSCO, SACRED VALLEY, MACHU PICCHU. 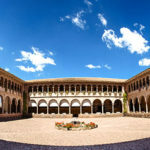 One day before your tour departure you will have a briefing in our office or in your hotel, where we will give you maps and more information about this tour. 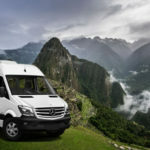 We book your entrance ticket for the places in the Sacred Valley and Machu Picchu, and extra entrance for hiking the two mountains (Huayna Picchu or Cerro Machupicchu) if you require it, you don’t need to waste time making a huge lines or queue or searching where you can get this ticket. 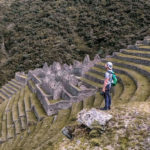 We will make you understand every place you will visit and why you arrive in Machu Picchu; our tour guide will give you two hours guiding tour, the most accurate and updated information about this marvelous place to become your trip in a spectacular experience. 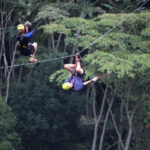 We provide you a safe trip; all our services are organized with vehicles well conditionate, all of them with all the permissions require to work in tourism, also all our staff are very well trained to give you the best trip. 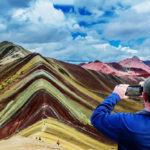 We give you facilities, you can make the payment in two parts, ONE when you book the tour and the balance once you arrive in Cusco, we accept safe payment methods like PayPal or Credito or Debit card VISA, also you can wire money via Western Union, Money Gram. 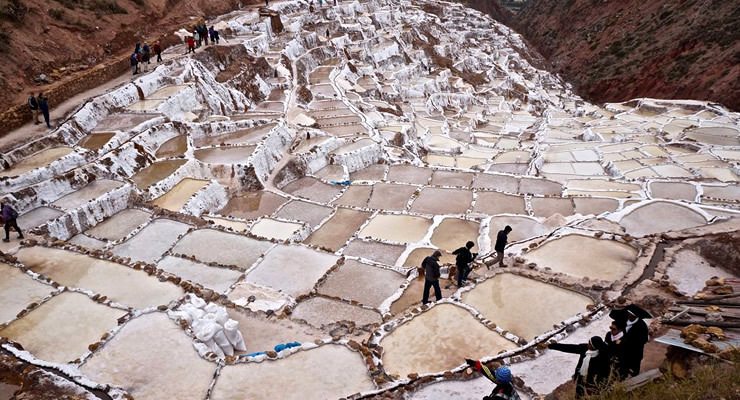 Day 1: Cusco – Moray – Salt Mines (Salinas) – Aguas Calientes. 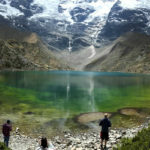 Day 2: Aguas Calientes – Machupicchu – Aguas Calientes – Cusco. The best mountain bike around the best view in Cusco, 50% cross country and 50% downhill over 3500 m.a.s.l. (11500 ft), a total of 26 km. (16 miles) bike ride where you’ll pass by typical villages and Inca Sites, you’ll visit the impressive site of MORAY (Agricultural experimental place for Incas), then you’ll continue to arrive in the Andean village of Maras where the landscape is amazing, then you’ll visit SALINAS (Salt mines). Are you ready for a dirty Day?, a safe and adventure tour during 4 hours around the high Andean landscape and off road where you’ll be able to pass by local village to see the daily life of the people and you’ll visit MORAY (Agricultural experimental place for Incas) and The SALINAS (Salt mines) where you’ll see how local people continue extracting salt. Day 2: Machupicchu – Cusco. Machupicchu You’ll have breakfast in the hostel after you have the option to go up early to Machupicchu, you’ll take a bus to arrive there (25 minutes), the guide will be waiting for you in the archaeological site of Machupicchu then you’ll start the tour, you’ll be with the guide 02 hours after you’ll have free time until 15:00 hours (the park is open until 17:00 hours) in this free time you’ll have option to visit Machupicchu by your own and if you want to climb up to Waynapicchu Mountain, after the free time we have to go down to AguasCalientes town (by bus) and you’ll have free time to go to have lunch then you have to be ready to take our train to return, our train leaves at 18:45 hours, you have to be half an hour before at the train station, this train will take us to Ollantaytambo (02 hours) there we’ll pick you up to bring you back by bus to Cusco (01 and an half) you’ll be in Cusco again at 22:30 hours (night in Cusco). Briefing about your tour booked a day before. 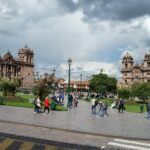 Transportation Cusco – Cruzpata (Day 1). The activity you chose for the first day. Entrance fees for Moray and Salt Mines (Day 1). Round trip train tickets (Day 1 and 2). Bus Tickets to go up and down in Machupicchu (Day 2). Entrance ticket to Machupicchu(Day 2). Tour guide in Machupicchu (Day 2). Transportation to come back to Cusco (Day 2). Meals (There is a great variety of restaurants from US$ 8). Night in accommodation in Aguas Calientes; (if you wish we can give you Accommodation rates from US $ 15 per person or you can also visit www.booking.com where you have an endless number of accommodations; remember that you will arrive at the village at 18:10 a.m. and Next day they leave early to visit Machupicchu, so the accommodation is more for sleeping). Entrance fee to Waynapicchu mountain US$ 15.00 (this is a hiking of 2 and an 1/2 hours) if you want to climb up this mountain you have to tell us before, because there are only 400 spaces per day. 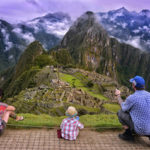 Entrance fee to Machupicchu mountain US$ 15.00 (this is a hiking of 3 and an 1/2 hours) if you want to climb up this mountain you have to tell us before, because there are only 400 spaces per day. Tips (this is optional, our staff is well remunerated, this is why, it is not something indispensable or expectant, any amount will be well received). US$ 25.00 Discount for people belong to Andean Comunity group (Perú, Colombia, Ecuador y Bolivia). US$ 20.00 Discount for students with a valid undergraduate degree card (student card should show an expiration date no longer than one year), from August 1, 2017 ISIC cards are NOT accepted. US$ 20.00 Discount for under 18 years old. ACCORDING TO NEW REGULATION FROM JULY 1st. 2017, TWO SCHEDULES ARE OPENED TO GET IN MACHU PICCHU; FROM 6:00 TO 12:00 HRS. (FIRST TURN) AND 12:00 A 17:30 HRS. (SECOND TURN), IF YOU WOULD LIKE TO STAY A FULL DAY, YOU MUST BUY ANOTHER TICKET (US$ 40.00 EXTRA); All Passengers can stay up to 4 hours in the Park from the moment they enter. Prices are for tours in shared service (group tour), groups of 15 to 20 people, inquire for prices in private tour. We have departure every day. To start this tour you have to be at least one day before in Cusco. The tickets that are given in the briefing a day before your trip. Original Passport (This is requested to take the trains, the buses and to get into Machupicchu). small rucksack (backpack) smaller than 30 liters. Rain Poncho (The climate is quite changeable it is better to be forewarned). Comfortable clothes (somewhat warm) when you leave early and return late is a bit cold, it’s better to feel comfortable with your temperature. 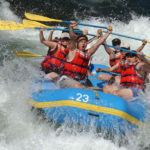 We make a direct job for the passenger (Contract between tour operator and travelers), no intermediaries, we don’t give commissions to travel agencies or any others third parties that inflate the costs. 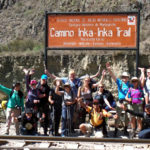 All our staff are 100% local (people from Cusco), all professionals in tourism, who have constant training courses and good customer service (Customer = friend), with this we guarantee the service we provide. 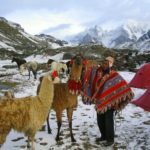 We are really a Tour Operator with all the permits and certificates granted by the Provincial Municipality of Cusco and the Minister of Tourism (DIRCETUR y MINCETUR). We have 10 years’ experience in this market, so, we know all the fails of other companies, this is why, we have the knowledge to solve fast and efficiently any unexpected problems (those small details are our different). Complete the booking form or send data of all the travelers to info@inkatimetours.com as Full name, passport number, nationality, date of birth, or a copy of passports (in the case of Peruvians is necessary a copy of a current ID, the same for those students, a copy of a Valid Student card, this to get the discount); and the information about arrival and departure flights; Our privacy policies are strict, INKA TIME will use this information exclusively to nominate the reservation tickets, we never share this information with third parties.